Lindsay listed her 5 Favorite Things about The Social Network. 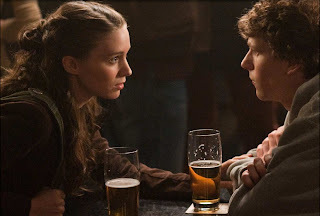 Lindsay also did a guest post over at To The Escape Hatch, sharing her favourite scene from The Social Network. Chris did a very informative article about the meaning of the term "dutch angle" and the history behind it. Jessica reviewed The Impossible, which brought back memories of the real life disaster. Alex once again compiled an inspired list for Movie Mezzanine, naming his Top 10 Dramatic Performances by Comedians. 2013 LAMMY AWARDS: Nominate Me!